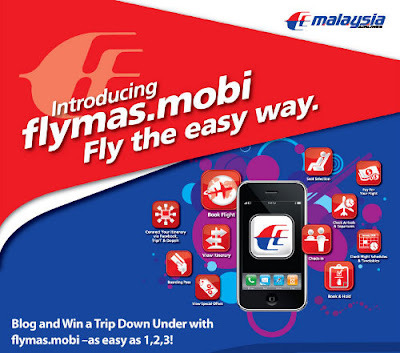 I have just discovered that MAS has recently launched flymas.mobi, a mobile site where you can book your flights from your mobile phone. With the launch of flymas.mobi, we Malaysians can now book our flights with MAS via our mobile phones no matter where we are! Great news right? Aren't you excited? Try it yourself! Just access http://flymas.mobi and experience the convenience of booking your MAS flight tickets from your mobile phone.